RC Polymer. Improves snow and ice performance through use of specific NanoPro-Tech rubber compound. Center Multi-Z Pattern. Improves snow and ice traction by improving drainage and increasing the biting edges. "3-D Sipes. 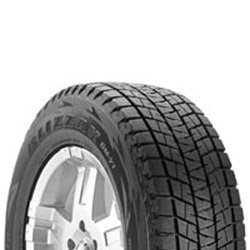 Enhance dry performance while maintaining snow, ice and wet traction"
Continuous Lug. Enhances snow traction and water evacuation. Improves snow and ice performance through use of specific NanoPro-Tech rubber compound. Improves snow and ice traction by improving drainage and increasing the biting edges. "Enhances dry performance while maintaining snow, ice and wet traction." Enhances snow traction and water evacuation. 100% of users said they would purchase this again. I know with these tires I can pretty much tackle any kind of snow buffalo throws at me. Too early to tell the performance of this snow tire with the lack-of -snow we\\\'ve received this year, but on the few days which we\\\'ve had snow, it performs really well and i am extremely happy! Discontinued product, limited quantity available.